As I entered the Capitol chambers, I was introduced to Speaker of the House Kurt Zellers as "the guy that gets things done around here." Right after I finished praying, one "hypocrite" chaplain came up to me and did his best to reprove me for using the "J" word (Jesus) in the House chamber, as if to suggest that I was to check my faith at the door before calling upon the God who gave us government (Exodus 18:21). First, I was labeled the "anti-*** preacher." Then I was called the "bigot." And then when the people figured out that I said nothing about homosexuality, they tried to figure out why there was such an uproar over my prayer. Over and over and over again, I have warned what was coming behind the homosexuals, which are being used as nothing more than a political battering ram to give way to America's sworn enemies, the Muslims! This is what "the sheep being led to the slaughter" means. America, you are undoing yourselves at every given step by what you tolerate in disobedience to the God so many of you professors claim to love. I have literally hazarded my all to bring this to the American people and in honor to God concerning these issues. I am free of the blood of my brothers and sisters. 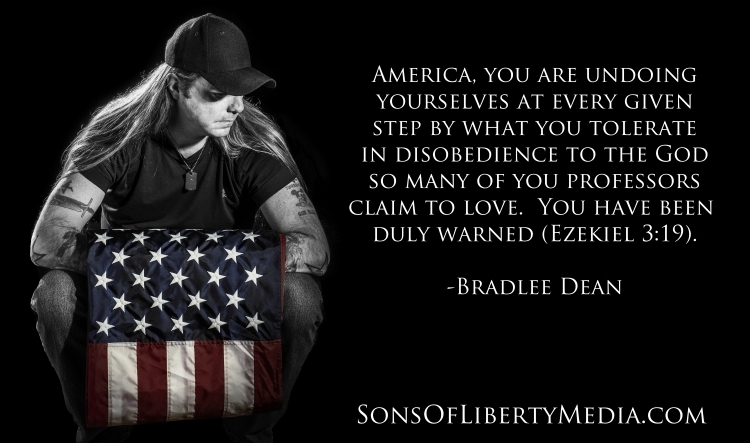 You have been duly warned (Ezekiel 3:19).